I’m 366.4 miles in and 34 days into my hike. While some days go by impossibly fast, others have gone by infuriatingly slow. I’ve experienced every possible emotion thus far, but my tramily has lifted me up more than I’ve admitted to them, and I am so beyond excited to keep pushing forward. To pick one thing that has been my favorite part would be impossible. I can’t narrow it down as this whole experience has been incredible beyond my wildest imagination, but I’ll try my best to highlight a few tidbits for you. Early on, we were stuck in a situation in which we could either tent it through expected thunderstorms or huff it 14 miles to Neels Gap. 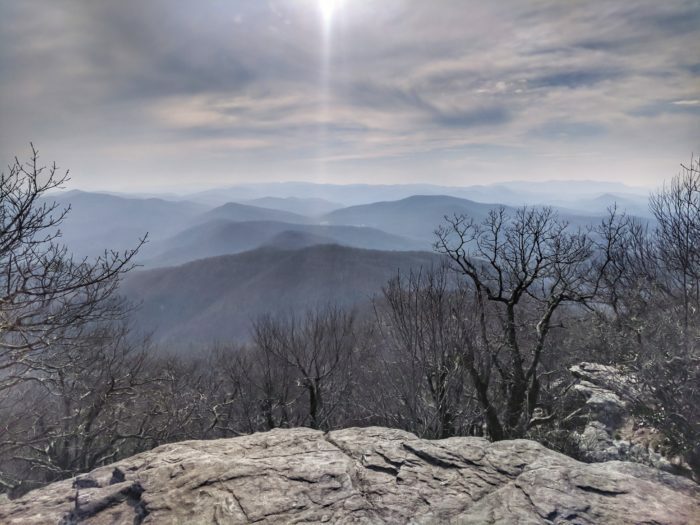 In that time we had to hike through the Blood Mountain Wilderness. In my opinion, that was one of the most beautiful sections of trail we covered so far. Not only that, but we got amazing trail magic when we got there, making the bad news of no rooms and needing to keep on moving not so bad. I had a mentally rough day going from Wayah Bald Shelter to A. Rufus Morgan Shelter. However, the day ended on a really high note and one of my favorite not-in-town moments thus far. A hiker, who had previously thru-hiked the AT, dropped all his gear at camp, took his pack, went down to NOC, and packed back a case of beer. This is the night Bob and I fell in with our tramily. It was just a really good time had by all. 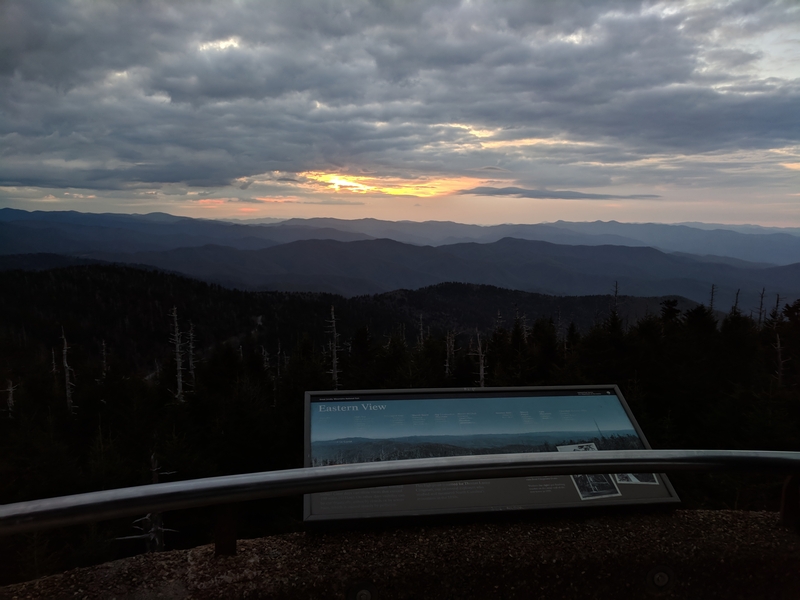 After a few solid days of big miles to make it to Clingmans Dome — the highest point on the AT — in good weather, we had a nice short day there. The only catch is we woke up at 4:30 a.m. and left by 5 to make it there for sunrise. It was the first time I realized how lucky I was to be having this experience with the people I fell in with. After this we went into Gatlinburg and had an amazing night. The good days have not been without the bad days. Though the good has so far entirely outweighed the bad, this post wouldn’t be complete without talking about those tough days as well. After Gatlinburg we did a short day to Icewater Spring Shelter. My knee was absolutely killing me after that day. I could barely put weight on it. We then had the wildest thunderstorm I had ever experienced on trail. Luckily, we were in a shelter. The next day was tough. Everything was wet and the wind made these crazy icicles on the trees. What saved the day was that after I came over a ridge, miserable from the wind, the tramily was all huddled in a windless spot waiting for me. The minute they saw me everyone started cheering and screaming my name. It was a very humbling experience. Hot Springs was an incredible time. A couple that one of our group members had talked to on Instagram met us and spent more money than was reasonable on our group. They bought us drinks, took us to our Airbnb, picked us up in the morning, bought us breakfast, and dropped us back off in Hot Springs for a zero day. One would expect to be feeling great after such an amazing experience, right? Wrong. For some reason, if I rest too long my muscles start to cramp up. So, we leave Hot Springs and halfway through the day my left quad locked up on me. I did the last three miles of the day pretty much dragging a useless leg behind me and only made it 13 miles out of pure stubbornness. I had decided that no matter what the next gap with water was, I was stopping whether my friends were there or not. Having all but given up catching them I hit the last switchbacks down into the gap when I hear, “Guys, I don’t think Fernando is going to make it tonight. He didn’t look good when I passed him.” At that point I almost started crying cause I was just so happy to hear my friends’ voices. We came out of Erwin knowing the weather was going to turn south quickly; we had two days to make it 24 miles to the next hostel, Greasy Creek Friendly, and that is pretty easy for us, until it wasn’t. When we came out of Erwin we were sporting a little bit of a hangover. We made it to Beauty Spot and thought this is good enough. I woke up at 5 a.m. to pouring rain. It let up for a while and I broke camp as fast as I could. I tried to do the impossible and outrun this storm and get to Greasy Gap. Unfortunately, that did not happen. I did a 12-mile hike through pouring rain. For the first time, I started questioning myself and what the hell I’m doing. I fell no less than six times. I found myself screaming at the storm, at the mud, at the mountain. I went to a dark place. On top of horrible conditions my phone was in my rain jacket pocket. For a normal rainstorm that wouldn’t be a problem. For what we encountered yesterday, it was a mere joke. My phone is trashed, and I no longer have a phone until I get to Damascus, Va. We got to the hostel and a lovely section hiker drove us into town. We resupplied, ate at a steak house, and tried our best to forget what we hiked through that morning. We woke up this morning with the intentions of getting up Roan Mountain. However, when we woke up it was 20 degrees, the mountains were covered in snow, and there was still water from yesterday’s storm cascading down the mountain. Reports were the temp on top of Roan was 4 degrees. We decided it was best to just head back down to Erwin and wait for the weather to be warmer and drier tomorrow. I’ll be honest. It’s been a rough two days for me. The good days have been incredible and the bad days have been demoralizing, but there is so much that keeps me going. I thought struggling with my mental illness out here would be harder than it has been. We are still early into this hike, so maybe I’m getting too much ahead of myself. Two things have kept me level and brought me back from those dark places. Hiking with music has been super important to me. Music has always been one of the most important aspects of my life and out here that has been no different. What I didn’t expect was the incredible people I’ve met who have become so important to me so quickly. If you read about my down days what always picks me up is when I finally catch up with the tramily. I was expecting this to be a solo adventure with my thoughts, but experiencing this trail with the people I’ve met has been so much better than I could have ever expected. 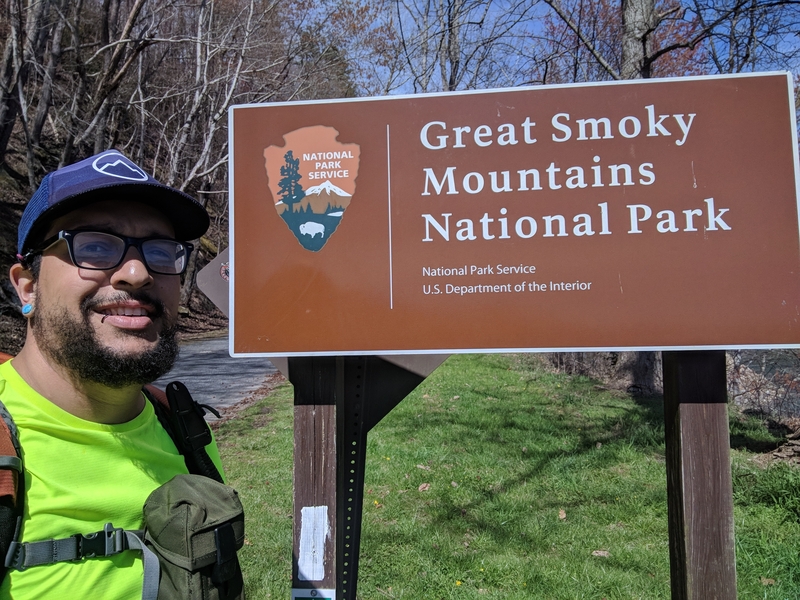 Recently I found myself hiking in silence and thinking, “Thank God I lived through who I was to become who I am.” Thank you to everyone who has been a part of this journey. Whether it was trail magic, mailing me random things I’ve asked for, hiking with me, whether you’ve passed me or are still hiking with me. This has truly been the most incredible journey of my life and it’s just getting started. I never imagined someone like me could find such peace. Hi, my name is Fernando. I'm an Appalachian Trail thru-hiker. I'm into punk, comics, and beer. I spent years struggling with my mental health until the trail brought me peace. That's where I want to stay.